Thank you for posting this! There were some things in my game I don't have optimized yet which were mentioned in this tutorial. The other tutorials of this youtuber look good as well. I will watch those too. I use GMS1 but I think the difference to GMS2 is not that much. I updated the main post as well with this link. These are my results for Echoes of Aurelia/Zelda Online engine. 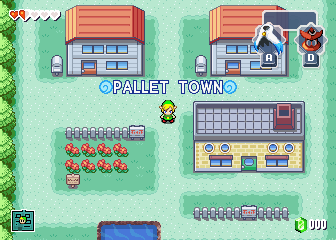 (I imported it from GM8 to Game Maker Studio, so I got a lot of errors, but I think that doesn't matter for the count). The engine has a lot of scripts, so I got almost 3 times more code in there than your project. Instead, the code written on objects is 5 times less. Back in 2012 I've spoken with Leduardo how to do Outset Island in MC style and sent Leduardo my results in a personal message. Before I will lose it I publish it here. I was just looking for some of Leduardo's sprites and found these. Also, does the program break when there is more than one row of sprites? Or does it calculate the spacing for ALL rows the same? Or is each row calculated separately from the others? It is only supposed to work for one row. If you have a Github link for the source code, maybe some of us can help refine it so that, for example, it can take any file input and output as a specified name. I just attached the Game Maker file into the start post. I used Game Maker 8.1. What this program still needs is to move single sprites to their correct position (after the main progress). Depending on a point which is given by the user. I was not sure how to implement that so I haven't done that yet. I made this program to help me out while I was importing spritesheets from Spriters Resource to Game Maker. Goal of this program is to split sprites into a spritesheet of equal horizontal length. First of all, this program looks for vertical lines where the sprite doesn't appear so each of your sprites need to be separated by at least one pixel. After that it looks for the sprite with the longest horizontal length, splits the sprites, and outputs the result. The first picture shows those sprites which are loaded(They need to be in the same directory as the program and you need to name it "sprite.png"). Background color is not important, you can use whatever you want, even invisible. Just crop and trim the sprite before you start the program. After that you start the program and voilà you get the second picture as the output. The program also creates a folder Sprites where single sprites are stored. Probably you will need to adjust some single sprites later, but the program still does a lot of work for you. I like it as well! Nice edit Sinkin! A new Submenu has been added. There you can see your quest status and save the game. Secondly, you can swim now! It caused a lot of bugs first but now it works fine. But the main challenge on this update was to fix the chat bug. In previous versions only the host was able to receive all messages correctly. Sometimes a message got lost and clients didn't read it, now it has been finally fixed! - FIXED BUG: Clients don't get messages sometimes! Na, I've seen it. This guy recording probably had a pretty slow pc. Even the main menu lagged. Update 0.18 is out and comes with some neat improvements and bugfixes. I've extended two new fonts, the first font is used for the HUD so that (if you don't use default control keys) the chosen control keys are shown. 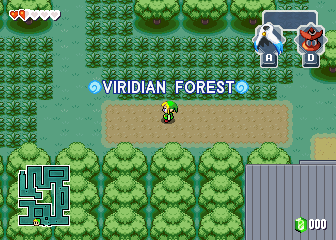 This font is also used on the ocarina surface. The second font is used to show the location name. 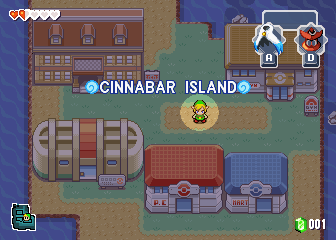 Each time you enter a new location in Zeldamon the location name is shown a while(see screenshots). Also, escape button is back again and asks if you want to quit the game and the last resolution is saved if you quit the game. It's an adventure map. Later Zelda Online will only contain adventure maps created by the community. Zelda 1 Remake is also planned. Nintendo of America, Inc. has filed a takedown request under the Digital Millennium Copyright Act (DMCA), 17 USC § 512 (http://www.copyright.gov/title17/92chap5.html#512), for many of the fan games on Game Jolt that infringe on copyrights and trademarks owned by them. Unfortunately, your games Zelda Online is/are among the urls they've submitted to be taken down. In order to comply with Nintendo's request, we have quickly built out a system to make your game page completely private and accessible by only you. Your game will not be visible to the public but you'll still have access to it. If you have any questions, let us know by replying to this email. We're happy to help!